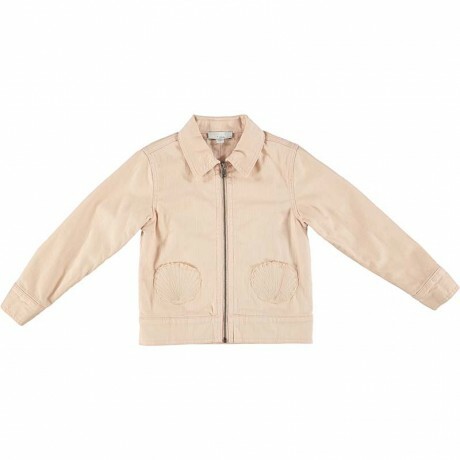 Girls jacket by Stella McCartney Kids, made in soft pink cotton twill, with a pointed collar. Inspired by the seaside, it has slip shell pockets and a large ice-cream sundae appliqué on the back. Layer over the Cream Donkey Embroidered Pom Pom Dress for perfect combination.